With its gorgeous color and purported mystical powers, Pink Tourmaline has played an intriguing part in both royal history and the healing arts. While sought for its beauty, it has masqueraded as ruby and fooled kings. Since ancient times, Shaman and healers credit this gem with great power to heal and enlighten. Tourmaline, with its unique physical properties, has amazed and delighted people for centuries. Here are some of the 15 hidden secrets and astonishing facts about the magical Pink Tourmaline and its fascinating family of gems. The name “Tourmaline” originated from the ancient Sinhalese, a language still spoken by Sri Lankans. It is believed to be derived from either the word “tourmali,” meaning a precious mixed-color stone or “turamali,” meaningsomething small taken from the earth. Although it can be found throughout the world, the significant Tourmaline mines are located in Afghanistan Pakistan, Russia, Burma (Myanmar), Sri Lanka, the United States (California and Maine), Madagascar, Namibia, Mozambique, Tanzania, Nigeria, and Malawi. Truly fine quality Tourmaline gems are rare and expensive. Widest variety of colors among all gemstones. The Tourmaline family exists in a wider variety of colors than any other gem. It can be transparent or opaque. Its rainbow of colors includes colorless (Achrolite,) white, yellow, green, orange, brown (Davite,) gray, black (Schorl,) deep pink/red (Rubellite), blue, blue-greenish blue (Indicolite,) purple, and multi-colored. Transparent Tourmaline can achieve exceptional brilliance when facet cut, whereas opaque Tourmaline often looks best cut as cabochons or made into beads. Multi-colored Tourmaline is quite exotic. “Watermelon” tourmaline has a pink center with a green exterior. “Mohrenkopf,” (named in reference to a popular light and dark colored German cake,) has an almost colorless midsection with black at each end. The curious “Cat’s Eye” Tourmaline is a highly polished, cabochon cut stone. In its finished state, it resembles a feline’s eye. Raw Pink Tourmaline, Watermelon Tourmaline, and Indicolite. One of its most remarkable ad unique characteristics is that tourmaline gems are often dichroic. When held at different angles, the color in a single gemstone can vary in intensity, change to different color, or even change to several completely separate colors. Tourmaline can have many brilliant colors – all in one gem! In 1812, the National Association of Jewelers (renamed Jewelers of America) revised their official list of birthstones. The new list was named the “modern” list, and it’s predecessor was renamed the “traditional” list. The birthstone lists of several ancient cultures – Arabic, Hebrew, Hindu, Italian, Polish, Roman, and Russian – became part of a single “ancient” list. Two gems were designated for the month of October – Tourmaline and Opal. 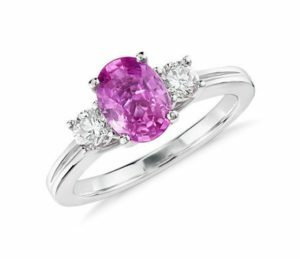 Pink is the color most often associated with this birthstone. The truth is that Pink Tourmaline shares this distinction with its entire tourmaline family. All of hues of tourmaline qualify equally as October’s birthstone. As a stand-alone color, the lovely Pink Tourmaline did not make it to anyone’s list. Pink Tourmaline is commonly considered to be the October birthstone. Because of its deep, rich pink/red color, the semi-precious Rubellite has been mistaken for precious Ruby. Although slightly pinker, Rubellite can be virtually indistinguishable from certain shades of Ruby. The most notable of these mix-ups occurred in one of history’s most extraordinary jewelry collections. In 1777, Swedish King Gustavus III gave Catherine the Great a pendant set with the magnificent gem known as “Caesar’s Ruby.” His intention was to curry political favor with his exceptional gift. This stunning 250-carat gem became part of the famous Romanov jewels. Early 1926 the “Caesar’s Ruby” necklace was included in the multi-volume catalogue of the Russian crown jewels. Later that year, Professor Alexander Fersman, the catalogue’s chief editor, made a startling discovery. The famous pendant was not a Ruby. It was a Rubellite Tourmaline from Burma. Even with its false identity unmasked, it the gem lost none of its prestige. It is still considered one of the most spectacular pieces of the Romanov jewel collection. Many jewels, historically thought to be rubies, are now believed to be Rubellite. 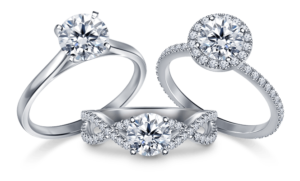 With modern technology, gemologists can correctly identify it. 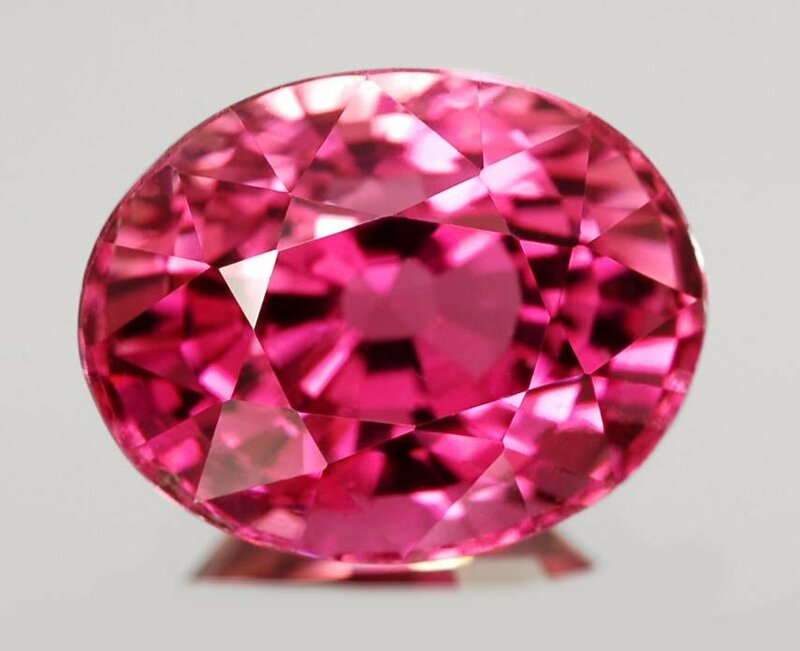 Pink Tourmaline exists in colors ranging from soft pink to deep red/pink color, known as Rubellite. With its rich color, Rubellite has been frequently mistaken for Ruby. Before the late 1800s, colored gemstone jewelry was extremely uncommon in the United States. In 1876, jeweler and mineralogist, Dr. George Kunz, sold a breathtaking specimen of Green Tourmaline to Charles Lewis Tiffany, the founder of Tiffany & Co. From this source of inspiration, American jewelry designers began adding colorful Tourmaline to their designs. Tourmaline jewelry became wildly popular. 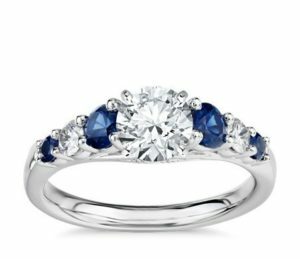 It created a demand for colored gemstone jewelry that continues to grow. One of the most intriguing and unique qualities of Tourmaline comes from its complex molecular structure. It becomes electrically charged when warmed by heat (pyroelectric) or by friction from rubbing (piezoelectric). Either method results in a negative charge and a positive charge at opposite ends of the stone. In its charged state, Tourmaline will attract lightweight particulate matter like dust and small paper scraps. During the late 1600’s or early 1700’s, Dutch traders discovered Tourmaline in Italy. The Dutch introduced the stone throughout Europe as they traveled. Having noticed one of its singular properties, they used warmed Tourmaline to draw out the ash in their Meerschaum pipes. The Dutch named the stone “Aschentrekker,” meaning ash puller. The ancients attributed Pink Tourmaline with remarkable powers. In India, Rubellite was associated with fire, the sun, and positive energy. It was believed to bring insight to those seeking goodness and reveal any blockages to achieving goodness. It would give its users awareness of any unsuspected dangers. Romans used Pink Tourmaline as an aid for stress reduction and troublesome sleep. In the 1800s, artists used it to stimulate their creativity. Contemporary African, Native American, and Aboriginal peoples wear Rubellite as a talisman, drawing on its powers of protection and healing. Crystal healers believe Pink Tourmaline, promotes both physical and emotional healing. It is used to gently remove emotional pain from those suffering from heartbreak or any form of abuse. It is said to renew vitality; strengthen self-confidence; attract passion; and enhance sensuality. The fiery deep-red/pink Rubellite is considered the color of the Life Force. In its lighter hues, Pink Tourmaline is said to reduce stress, anxiety, fear, and depression. The captivating story of Pink Tourmaline includes intrigue, adventure, and mysticism. With its beautiful color and rich history, this dazzling gem continues to be treasured in jewelry design. Come into our store in Pinecrest, Florida, and take a look. Even if October is not your birth month, you might find the magical Pink Tourmaline becoming one of your favorite gems!